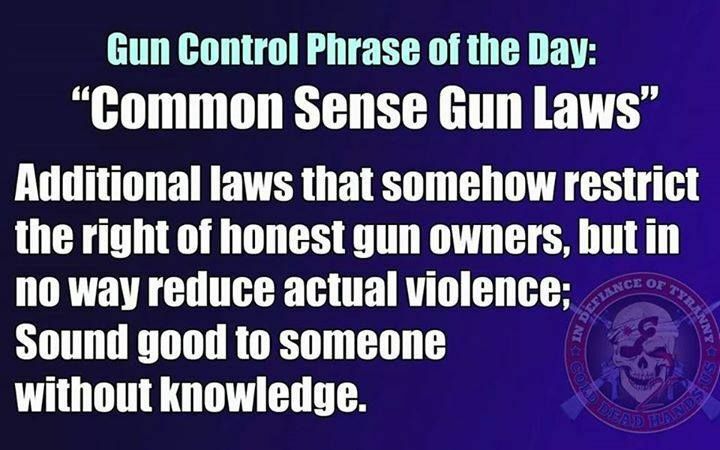 Common sense is one of the terms that gun-control lobbyists advise their clients and allies to use when framing their arguments about the fraught subject of guns, lest opponents weaponize their words. crossposted from: No one wants to take your guns! 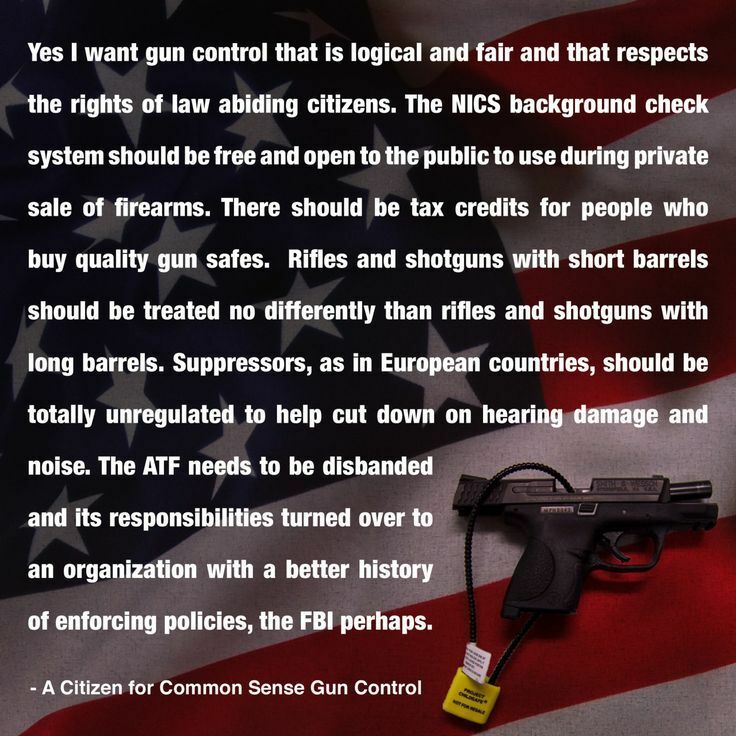 “Common sense” is a somewhat subjective term, but the gun control movement’s obvious intent is to portray their proposals as popular, reasonable and benign. Alternatively, gun rights positions are to be considered extreme and out of touch. In reality, this is just a flimsy attempt to veil the oppressive consequences of their proposals. Everytown for Gun Safety’s materials are replete with appeals for “common-sense” gun laws. Everytown’s website asks visitors to become “gun sense voters,” people who “will fight for common-sense laws to reduce gun violence.” The Law Center to Prevent Gun Violence has teamed up with the gun control group Americans for Responsible Solutions to issue “Commonsense Solutions” toolkits for policymakers. On Jan. 5, when Barack Obama announced his executive actions on gun control, he used “common sense” five times during his speech. Only two days later, he used the term again to describe his anti-gun agenda during a CNN “town hall.” Then on Jan. 20, Attorney General Loretta Lynch defended the president’s unilateral actions as “common-sense” steps to promote public safety. Does all this sound familiar? It should. The “common-sense” attack has been routine among anti-gunners for decades. In promotional materials from the late 1970s, handgun prohibitionist group Handgun Control Inc. (now the Brady Campaign to Prevent Gun Violence) presented its litany of anti-gun proposals as “common sense.” Of course, this is the same group that fought for a 1976 Massachusetts referendum to completely ban handguns in the state. President Bill Clinton was also fond of the “common sense” argument. In 2000, he labeled those opposed to a federal gun “buy back” program as “opponents of common-sense gun safety.” This was despite the fact that Clinton’s own Department of Justice determined two years earlier that “buy back” programs were useless, something many of the most prominent anti-gun researchers also concluded in the years to come. California is already home to some of the most oppressive gun laws in the nation, including many measures that gun control advocates sold as “common sense” when pushing for their enactment. California gun owners are subject to “universal” background checks for all but the most limited firearm transfers, as well as gun registration, gun owner licensing, and a ban on popular semi-automatic rifles and magazines. That’s enough “common sense” to choke the Second Amendment into oblivion. 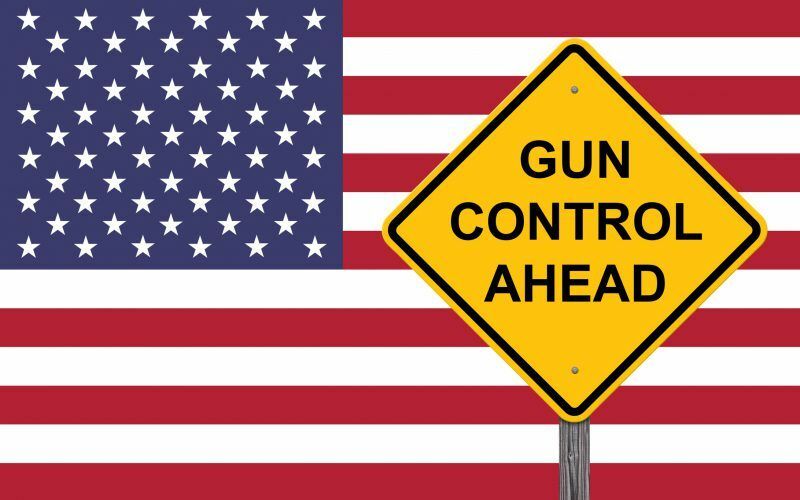 5 easy common-sense ways to fix gun control … and one that will actually work. 1. Limit all magazines to 10 bullets or less. 2. Enhance mandatory background check requirements and standardize them across all states, including for private sales. 3. We should make sure the National Instant Criminal Background Check System is built for confidence, instead of speed. 4. We could treat firearms like cars — with licensing, registration, and mandatory insurance. 5. Empower the government to actually collect and study information about trends in gun violence. One other thing legislators want to vote on is the so-called "No Fly, No Buy" bill, which would ban the sales of guns to people suspected of terrorism on the government’s “no-fly” list. So here's the only guaranteed way for our country to take action on gun reform: If your senator or representative is on this list, then vote them out of office. Doing that might not make the change happen right away, but until the majority of the government is no longer funded by the NRA, these other changes aren't likely to happen either. Targeting drug dealers is somehow a new strategy. Washington D.C. took a common sense approach with drug dealers who are caught with firearms. Guess what? Crime is down 25 percent as compared to last year. Who would have ever thought that if you take guns away from bad guys, then lock the criminals up, that violent crime would go down? Why didn’t someone think of this earlier? Maybe sometime soon, places like Washington D.C. will stop punishing law abiding gun owners and go after the real criminals? WASHINGTON — Violent crime in D.C. is down 25 percent compared to last year, and the District’s new police chief attributes the drop to the growing number of illegal guns that officers are taking off the streets. Standing in front of dozens of guns packaged in evidence bags, Lt. Andy Struhar touted his narcotics enforcement officers’ focus on removing guns from the hands of drug dealers for the uptick in illegal firearms recovered in D.C.
“This year alone, we’ve already recovered at least 50 guns as part of our operations,” Stuhar said at a D.C. police event held with Mayor Muriel Bowser on Wednesday. We have social anthropologists, think tanks, studies and decades of experience on how illegal drugs are related to crime, and when Washington D.C. tries a “new” strategy crime goes down? There is nothing “new” in how Washington D.C. is dealing with criminals. What is new however, is targeting criminals rather than law abiding gun owners. Washington D.C. had some of the strictest gun laws in the nation. It took the Supreme Court decision of District of Columbia vs, Heller for the laws to change. Rather than dealing with the root cause of gun crime, bureaucrats in D.C. wasted taxpayer money on a case that in the end they lost. When places like D.C. run out of options to punish law abiding gun owners, the only real solution is to go after criminals. After D.C. decided to use a “new” strategy of targeting drug dealers crime went down? The idiocy of the anti-gun establishment has no limits. If targeting drug dealers is the new strategy, what was the one old? I think we all know the answer to that one. Which gun laws to repeal first? We, as a nation, think all kind of common-sense laws governing gun ownership are already law. What Are "Common Sense Solutions"? When someone says they want “common sense solutions” to gun violence, what “exactly” do they mean? There were a couple of quotes in the article that shows how out of touch gun control groups really are. In discussions of gun violence in the United States, Danielle Veith often hears the same refrain: If nothing changed after the mass shooting at Sandy Hook Elementary School in 2012, it never will. 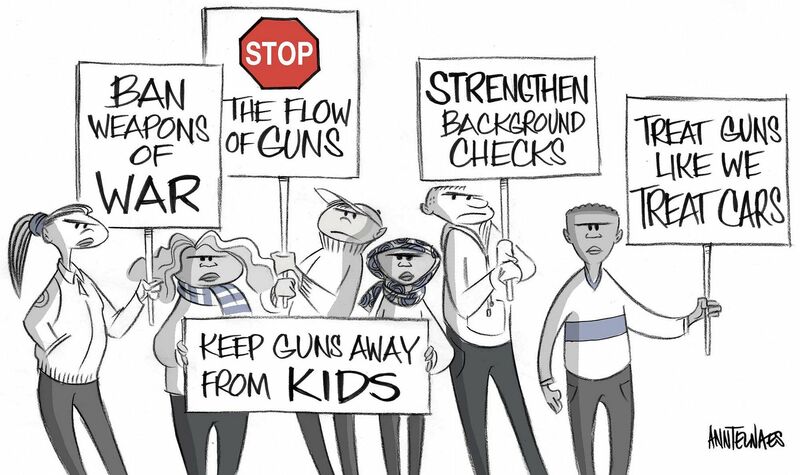 What exactly needed to change after Sandy Hook? Went to a gun free zone. Killed a number of people, including children. Laws only affect those who respect and follow the law. No amount of gun laws would have stopped Adam. Maybe telling him it was against the law to kill his mother, steal her guns and then kill children would have stopped him? How about a few more “gun free zone” signs outside the school? The real issue was a mentally ill individual not receiving the help he needed. Rather than more gun laws, we need to ensure people get the help they need. In Maryland, Moms Demand Action pushed unsuccessfully for two pieces of legislation in this year’s session. One would have required gun owners with convictions for domestic violence to forfeit their weapons. The other would have required background checks to buy long guns. There is already a federal laws that prohibits people who commit family violence from owning a firearm, it is the Domestic Violence Offender Gun Ban. Also, federal law already requires a background check when an individual buys a firearm from a gun dealer. So, does this mean Moms Demand Action wanted to go after private sales? Or, was Moms Demand Action trying to get a duplicate law passed? Why do we need duplicate laws? The simple answer is, we do not need duplicate laws. Groups play on the emotions of the uneducated to gain support and get unneeded laws passed. When we have laws that already cover just about everything gun control groups want. So, what “exactly” do they want? oood! Laws do not stop criminals. Prosecute those who abuse their right to carry a gun. Prosecute those who use a gun to commit a crime. Our laws are good as they are. Use them. 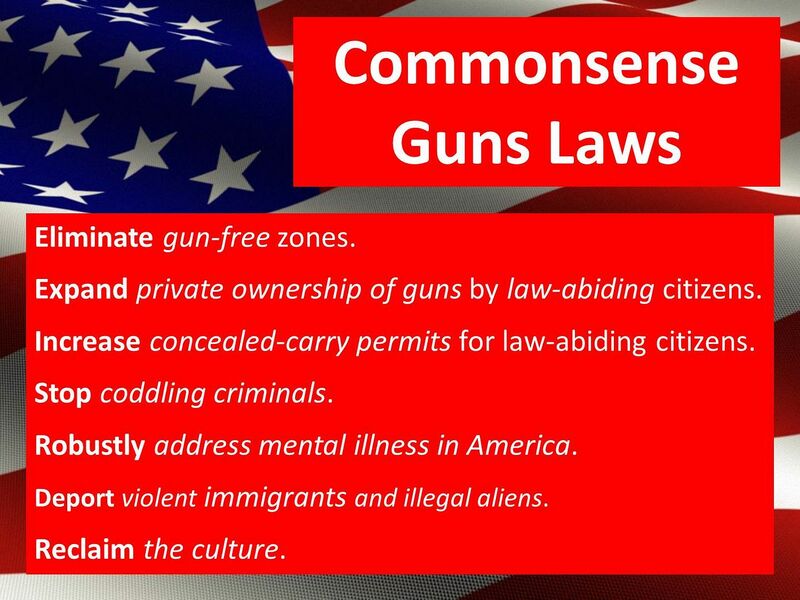 Are Gun Laws Really Common Sense … or More of the Same Stupid Stuff? Are gun laws really “common sense” or are they extraordinarily foolish? Let’s look at the gun control laws being asked for today. 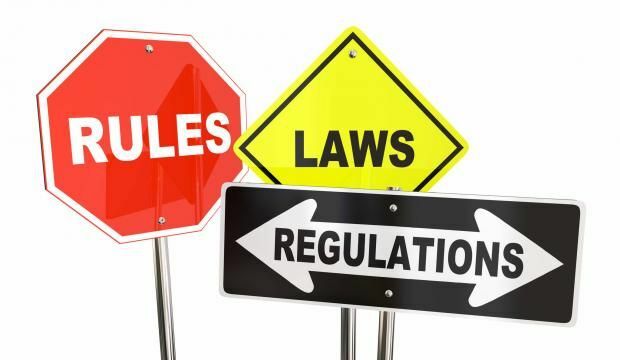 Do these regulations restrict criminals, or do they restrict honest citizens? Look at the record and decide for yourself. That means you’d go to the gun store each time a firearm changed hands, even if it isn’t sold. You couldn’t borrow a gun to teach someone to shoot. You’d need a background check if you cleaned your girlfriend’s gun or if she touched yours...even if the guns are the same model, you both have carry permits, and you’re living together. Not without a background check and government permission. Does that really make us safer? The anti-rights politicians certainly made it more cumbersome for honest people to own guns. Do you think criminals actually follow this law? Drug gangs don’t to to the gun store and get background checks when they trade drugs for guns. This “common sense gun control” seems like more of the same old propaganda than real common sense. The anti-rights activists want you disarmed in public. They want states to stop recognizing the concealed carry permits issued by other states. I have to wonder who are we disarming. Licensed concealed carry holders already had an FBI background check. When you look at their record, licensed concealed carriers are more law abiding than the police. The anti-rights gun control bigots say that disarming these scrupulously honest gun owners will disarm criminals. Is that true? Criminals carry illegally and don’t bother to get a concealed carry permit. Is it common sense to disarm honest gun owners or is it more of the same old stupid stuff? Advocates who work against your right to be armed want to register guns and ammunition. Drug gangs move tons of drugs, billions of dollars in cash, and millions of people across the US borders. Do you think the gangs will give up their guns simply because we regulate honest gun owners? I don’t see how. We already know that criminals get their guns illegally. Gun prohibition doesn’t work any better than drug and alcohol prohibition. In fact, these gun control regulations leave more disarmed victims facing more armed criminals. That doesn’t make us safer. That doesn’t make sense at all. Time and again the politicians claim to regulate honest citizens in the name of public safety. We’re told that certain firearms are too dangerous for us to own. Those same rules never apply to the police or the people guarding politicians. We’re told that honest gun owners need to take days of training and to pay hundreds of dollars in fees before they are safe enough. Is is really common sense to think that criminals bother to take those classes and pay those fees? We’ve seen what gun control actually accomplished. Gun prohibition disarmed millions of honest civilians. The anti-rights bigots who propose more gun control shifted power to the government and to criminals. That never made common sense. Do you think gun laws actually reduce crime?